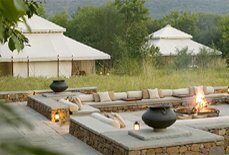 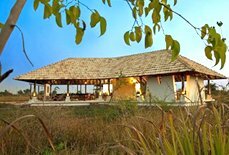 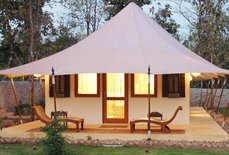 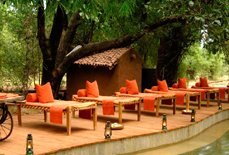 Nestled in proximity to the entrance of the Tadoba-Andhari Tiger Reserve, Tigers' Heaven Resort is tranquil paradise for travellers. 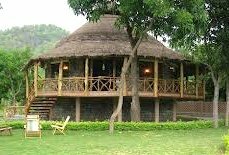 One can see various wild animals round the clock from the resort. 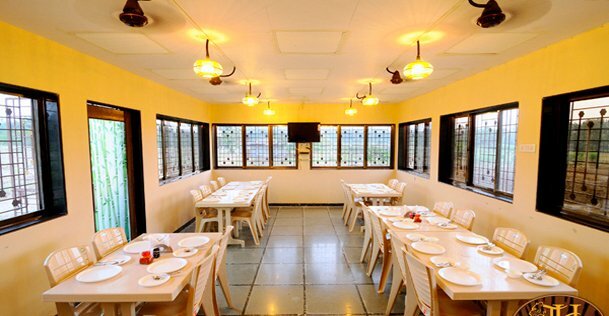 It tenders exquisite dining opportunities that will lure you with taste of both worlds. 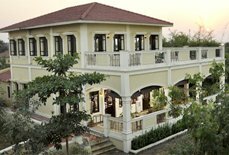 The resort carefully combines old world opulence with every modern convenience. 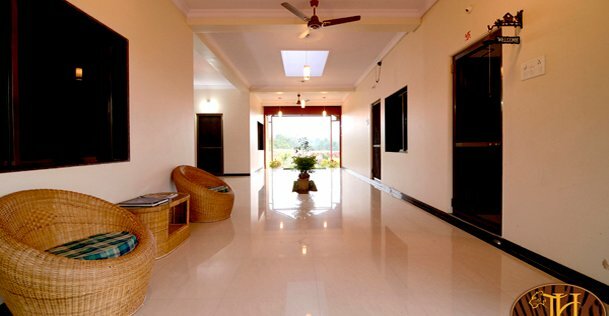 The spectacular vistas, state-of-the-art facilities and impeccable service will make you travel to this resort soon for another fabulous experience that you will love to cherish with your loved ones in blissful time. 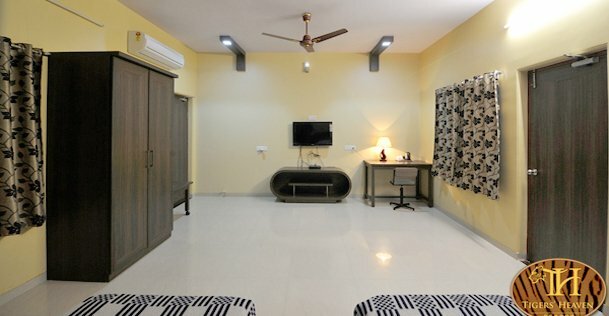 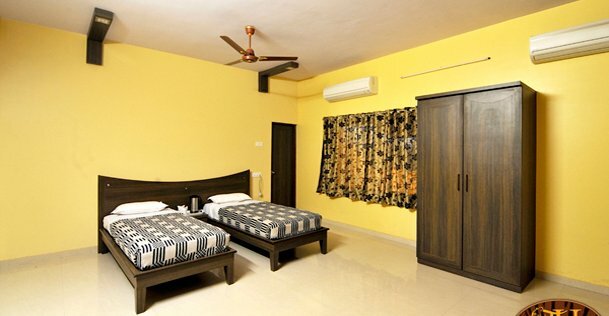 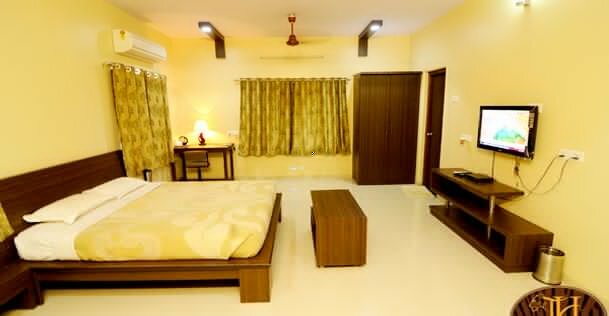 Accommodation :The resort has well furnished rooms which have been divided into deluxe, special and royal. 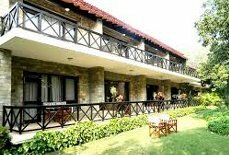 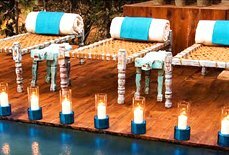 The friendly staff make sure your comfort and luxury offering you an exceptional and unforgettable visit. 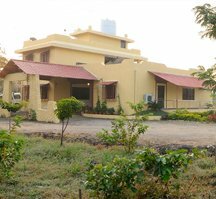 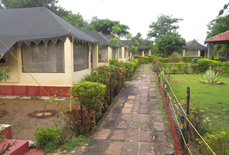 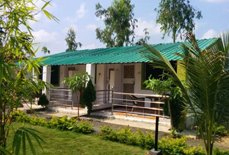 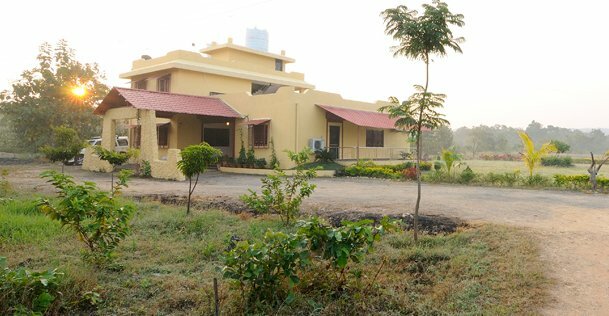 It is situated 4 miles from park and about 60 miles from Nagpur city. 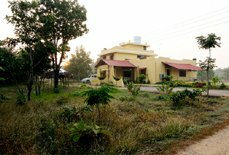 Warora railway station is the closest to reach Tigers' Heaven Resort, which is about 23 miles away.